Finally! 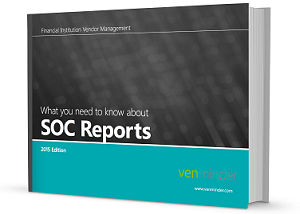 Everything you need to know about SOC reports in an eBook! SOC audit reports are the best representation you can get from your vendor regarding the controls they have in place and how they are performing against those controls. We've put together an eBook to assist you with enhancing your and your team's education level on SOC reports in a simple, easy to read and plain English (non-technical) approach.